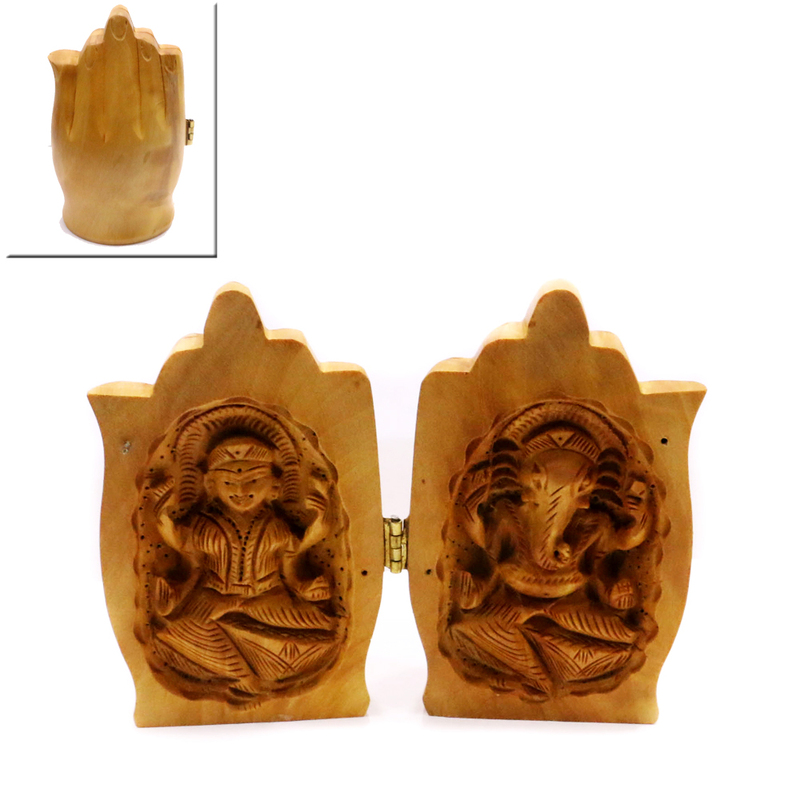 this Laxmi-Ganesha set is unique and is nestled by hands folded in "Namaste" position. The entire piece is made out of wood and has a Read More..light golden colour. Within the folds of the hands, Laxmi and Ganesha is sculpted beautifully. This could be a great choice for Diwali gifts. Show Less..